Retractable door screens are the latest in home enhancement. 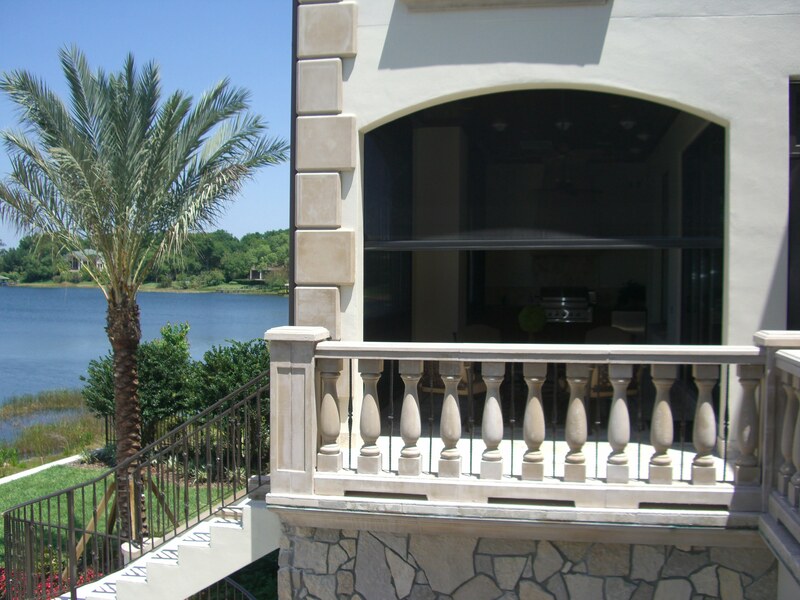 The miracle technology and materials used to create these screens allows your home to remain the ideal temperature while being free of insects without obstructing your views. You will be able to use them in a variety of door types, and the motorized retractable door screens by RoseSun, will provide an additional layer of luxury to any home or business. Many people believe that retractable door screens are only able to be used on a very limited number of door types. This is untrue. If you have a stunning terrace or patio space as a way to unwind at the end of the day and on weekends, a number of possibilities exist for your needs. These doors ensure the views of such spaces are not interrupted while maintaining the integrity of the retractable screen benefits. You will find these screens in all door types such as french doors, entry doors, sliding doors, in and out-swing doors, and more. Installing these mesh screens will increase the value of your home in several capacities. These screen doors will keep East and West-facing spaces up to 15 degrees fahrenheit cooler. As a result, energy bills will be greatly reduced as fresh air moves throughout the house without the risk of an increase in temperature. These screens also reduce glare onto screens whether they be your computer, smartphone, television, or otherwise. The strength of UV rays is also greatly diminished as they travel through the screen, thus protecting your family and home even further. A motorized retractable door screen is the Rolls Royce of screen doors. You will experience all of the benefits as mentioned above in addition to a few others the basic screen door does not provide. These screens are available in a variety of colors to ensure the customized color palette of your home remains sophisticated. The screens will fit into any window frame you have in your home. This ingenious innovation allows you to remove the screen with the press of a button or via remote if you wish to open the house fully to fresh air or lower them for the winter. Motorized retractable door screens will improve your quality of life and the value of your home. And, you will save money while being kind to the environment.